﻿Bennetts Removals has a wealth of experience and resources available to ensure that you receive a smooth, efficient and professional house removal service at all times. 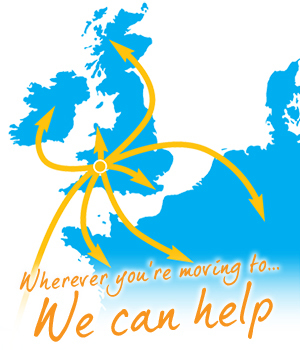 ﻿We specialise in office relocations across the UK. We understand that when it comes to your office relocation, time is money. ﻿We'll take care of packing your items securely, no matter how big or small, before safely loading them onto our trucks to deliver them to your new property in next to no time. ﻿When it comes to clearing unwanted items from your home, you needn't get stressed. Whether you're relocating, downsizing, or preparing a house for sale, we offer a personalised house clearance service. ﻿With our flexible system we are able to offer secure storage solutions to meet all of your requirements. From household contents, to office furniture and documentation. Bennetts Removals are your local quality removals company. Bennetts Removals is a well-established, family-run removals company based in Barry, Vale of Glamorgan offering its services across the UK. Cardiff, Barry, Cowbridge, Penarth, Dinas and all across South Wales and the South West. As well as local removals we also offer national and international home and office moves. We offer a full packing service and have secure storage facilities for all manner of goods and furniture. 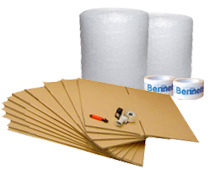 To order your packaging materials, simply click here and complete the order form. We have now opened our shop selling packaging materials direct to the public. Everything you will need to pack your belongings safe and securely. Call in at Unit 8, Atlantic Trading Estate, Barry, CF62 7EB.